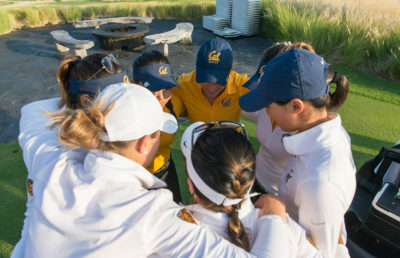 The Cal women’s golf team flipped the script of its season this week at the Stanford Intercollegiate. The team shot 880 (+28) to finish 4th overall out of 15 teams, its best finish all season, while defeating multiple top-25 teams in the process. UCLA won the tournament, finishing at 849 (-3). Cal was focused and consistent throughout the tournament, with each member of the team finishing in the top 50 of the individual leaderboard. The first round of play for the Bears on Monday was a welcome departure from their play in the first two tournaments where Cal had slow starts and seemed unfocused. Their first round at Poppy Hills ventured away from that narrative, as the Bears finished the first round 6th overall, their best finish in any first round this season. Junior transfer Cindy Oh’s dominant play carried over from her last round two weeks ago. Oh, who was playing in only her second tournament for the Bears, had the best score of the day, finishing +1 and T-12 overall. 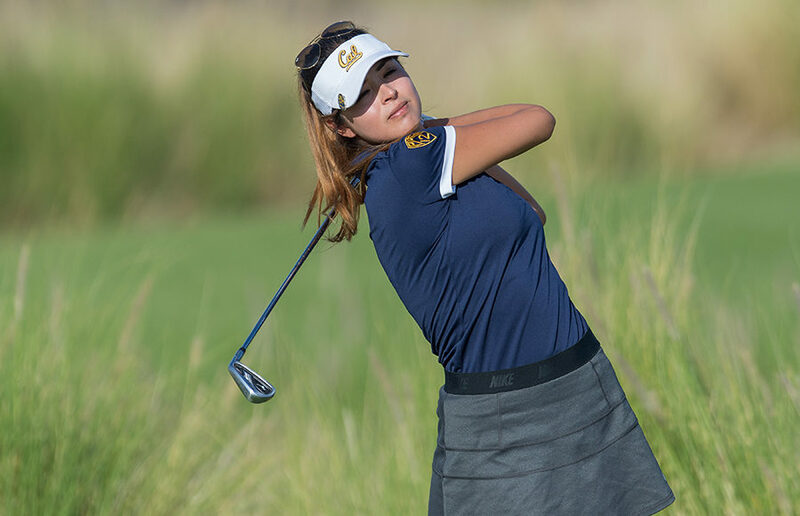 The second round for the Bears on Tuesday proved to be even better than the first, as the team advanced two spots to finish the day T-4 with Washington. The consistency the Bears had lacked was a problem of the distant past, as the team combined for 16 birdies in the second round, including four from sophomore Jiyoon Jang and six from Oh. As Oh continued her impressive play from the first round, finishing Tuesday T-19 overall, Jang completed an incredible round of her own, recording only one bogey over 18 holes, finishing her round at -3 and T-8 overall — the best score of the day for the Bears. Junior Marianne Li also made her way up to individual leaderboards in the second round, finishing T-17 and completing the back nine with no scores above par. The final round Wednesday started with a two-hour fog delay, which appeared to slow the Bears down some in their first few holes. Nonetheless, the team was able to refocus and finish the day at +12 (296). While this score was not their best round, the Bears’ ability to stay consistent and end their day in the position that they started was a huge turnaround for a team that had been struggling to get anything going so far this season. Jang and Li continued their steady play in the last round. Jang had the top score for the Bears at +2, landing her T-8 overall, and Li recorded her best individual finish of the season by far, finishing with a score of +6, T-17 overall. The Bears will look to bring this energy and focus into their last tournament of the fall next week at the Pac-12 Preview in Hawaii. The team will face many of the same teams they saw in this tournament as it tries to end its preseason with a top finish.